Susan Marlowe lost her husband and four other firefighters when the homeless shelter she started burned to the ground eighteen months ago. And she’s finally beginning to heal. That is until she learns a secret David took with him to the grave. For the sake of their sons, can Susan forgive the unforgivable? Peter Brennan carries the weight of the world on his shoulders. As Hanover Falls’ fire chief, he was responsible for the brave firefighters who lost their lives that awful November night. Can he ever shake the feeling that he should have somehow prevented the tragedy? As he tries to rebuild the team at Clemens County’s Station 2, it seems he might find comfort in the arms of the woman he least expected. Touching, romantic and suspenseful,After All has it all. A love triangle, a mysterious chain of events, and real characters only Deborah Raney can bring to life. I didn’t read the first two books in this series, but I defiantly enjoyed this one. Susan Marlowe runs a homeless shelter, and after a horrible fire that takes the shelter, along with her husband and several other firefighters with it, she is left with the job of rebuilding another shelter for the homeless, along with building another life for herself, alone. It took 18 months to have the new shelter ready for more homeless, and the help of her husband’s co-worker, Peter Brennan. Peter didn’t really care for Susan because of her demands for the firefighters help, and at the same time, he couldn’t help but be drawn by her. And he also thought about the rumors he had heard around the firehouse about Susan’s husband before he died in the horrible fire. Could they really be true? Could he Susan’s husband have been cheating on her before his death? I think I need to go back and read the first two books in this series to enjoy the full story. I can’t believe I haven’t heard about Deborah Raney before, but I will definitely be looking for her books in the future. In After All, Deborah creates characters that are sure to draw you into their story from the beginning. I love the secrets and suspense mingled with a little intriguing romance to help keep the pages turning. I highly recommend After all for a really good read. And I encourage you to look up the first two books in the Hanover Falls series and read them first. I love series, and there is nothing better than to have a full 3 book series to look forward to reading. A big Thank You to Glass Road Publicity Group for giving this book for me to read and review. I was not expected or required to provide a positive review. The opinions in this review are mine only. Deborah Raney is the award- winning author of numerous novels, includingA Nest of Sparrows and the RITA award-winningBeneath a Southern Sky and its sequel,After the Rains.Deborah’s first novel, A Vow to Cherish, was the inspiration for World Wide Picture’s highly acclaimed film of the same title, which in December 2004 aired on prime time network TV for the second time. Deb’s novella, Playing by Heart, was a National Readers Choice Award winner and a 2004 Christy Award finalist. Her novel with Howard/Simon & Schuster, Yesterday’s Embers, appeared on the ECPA Christian fiction bestseller list. 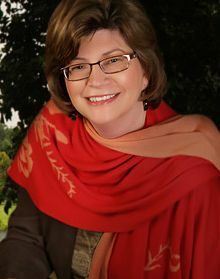 Known for her sensitive portrayal of family struggles and relationships, Deb has also written nonfiction books and articles and often speaks at women’s retreats and writers’ conferences around the country. 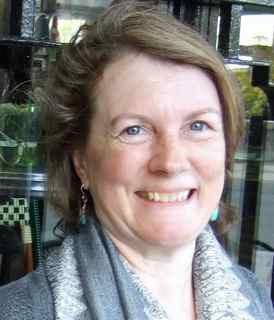 She and her husband, illustrator/author Ken Raney, have four children and make their home in Kansas. Learn more at www.deborahraney.com. 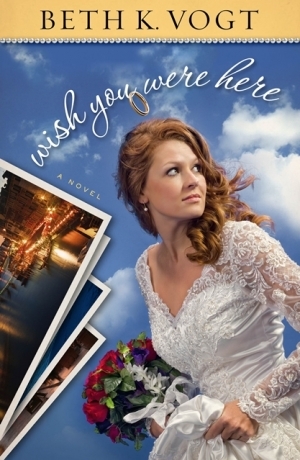 LitFuse Tour….Wish You Were Here by Beth Vogt…plus iPad2 Giveaway! Allison Denman is supposed to get married in five days, but everything is all wrong. The huge wedding. The frothy dress. And the groom. Still, kissing the groom’s brother in an unguarded moment is decidedly not the right thing to do. How could she have made such a mistake? It seems Allison’s life is nothing but mistakes at this point. And pulling a “Runaway Bride” complete with stealing, er, borrowing her best friend’s car doesn’t seem to solve her problems. Can Allison find her way out of this mess? Maybe she just needs to stop orchestrating everything. Allison prefers being the one in control, and giving it up is not going to be easy. But to find her way again, she will have to believe that God has a plan for her and find the strength to let Him lead. Wow, what a wonderful debut novel. Allison and Seth have been dating for six years, and their big wedding day is finally getting close. And everyone is happy. Right? Well that’s the way it seemed until Seth ask his brother Daniel to go by Allison’s apartment to pick up boxes she’d packed and bring to Seth’s house. Only Allison hadn’t packed the boxes, and Daniel took it as his duty as best man to stay and help pack them. With an added Chinese dinner to boot. All is well until Daniel goes to give Allison a quick friendly goodnight peck on the cheek, a peck that ended up in a kiss that neither of them never forgot. And well, as for the rest, you really need to read this wonderful debut book by Beth Vogt. I can see now that Beth Vogt is going to be another awesome author on my favorites list! With her intriguing first novel, we can only imagine what is in store for us with her second book. Can I say I am hoping it is more of Allison and Daniel and the gang? I thoroughly enjoyed this romance that was much more than a romance. With a chance to follow Allison as she strived to figure out just what she really wanted in live, and if she did indeed make the right choice, or the choice that would ruin her forever. I loved Daniel and Allison’s characters, and was cheering them on from the beginning. Seth was a really good guy, in his own way, but his control to have everything his way, and wanting life just perfect was just too much for anyone. Beth Vogt did a wonderful job in creating these characters and bringing them to life through the pages of this book. I feel in love with the book in the very beginning. The only thing about it is, I wish she had given Allison and Daniel more time at the end. Made it a little more intriguing and I don’t know, maybe interesting? It is all good, don’t get me wrong, but the ending was just missing a little something. That said, if you like contemporary fiction, this is a must for you to read. You will certainly not be disappointed! I was provided a copy of this book from the publisher Howard Books through LitFuse Publicity Group. I want to thank Amy for making sure I rec’d this book, even though the publisher didn’t send it in time for the tour. The opinions in this review are mine only. Continue with the blog tour by visiting the other blogs…. Wish You Were Here iPad2 Giveaway! 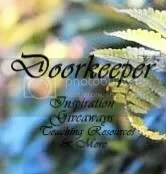 Hurry, the giveaway ends on 6/4/12. The winner will be announced 6/6/12 on Beth’s website! 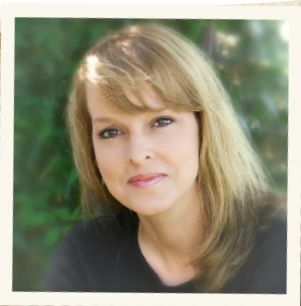 Radio personality, recording artist, speaker and author Lisa Troyer finds herself heart-deep in ministries that are changing lives forever. Her incredibly successful Circle of Friends women’s ministry, formed over a decade ago, is growing in all directions. With ministry and songwriting partner Dawn Yoder, Lisa and her Circle of Friends offer women’s conferences, leadership training, counseling services, worship music, life skills classes and marriage/family resources. No matter the outlet or the venue, Lisa uses her gift of encouragement, her influence and her resources to open doors for women everywhere to discover their significance and belonging through Christ. Every woman needs acceptance, love and a place to belong. 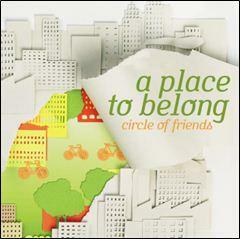 That’s the underlying theme of the new music CD, A Place to Belong (Lifeway Worship), from singer/songwriter Lisa Troyer, president of Circle of Friends Ministries. Refreshingly authentic and dynamic, the companion worship CD to Troyer’s recently released book, A Place to Belong: Out of Our Comfort Zone and into God’s Adventure (Barbour Publishing), tenderly draws women into a place of true freedom and belonging in the very heart of God. Kathleen Morgan explores themes of mercy, fidelity to one’s beliefs, and compassion for those different from oneself in this sweeping Western saga. Set amongst the wilds of the Colorado Rockies in 1879, this is a tale of a forbidden love and a faith tested in the midst of intolerance and the harsh realities of life on the untamed frontier. When Shiloh Wainright accepts a teaching position at the White River Indian Agency in northwestern Colorado, she never dreamed of catching up with her old childhood best friend Jesse Blackwater. Though she is thrilled to see him again, and see that he is doing well after his abrupt leave almost ten years ago from her families ranch. Could their friendship rekindle now that they were back together, and now that they were nine years older than before? Trouble is, Shiloh is from a white family and Jesse is half-breed. Half white and half Ute Indian. Which means any attraction they might have toward each other cannot happen. A relationship between the two of them would be unheard of and forbidden. Kathleen Morgan writes a heartwarming and at the same time heart wrenching story about two people from completely different cultures, two completely different worlds represented here. As we follow Jesse and Shiloh’s story, Kathleen takes us on a journey like no other we’ve been on. The differences between the Ute and white man’s life is nothing to be compared. And with a dad like Jesse’s, being abusive and hating both Jesse and is mother, Jesse could only find acceptance with his mother’s people, the Ute. Shiloh wasn’t the only one so drawn to Jesse, he was just so adorable! And the hurt he had always suffered, and still was suffering was heartbreaking to read about. It was a hurt that not even Shiloh could help him with. And Shiloh had her own hurt and heartache over what happened to Jesse years ago when he left the ranch. I had a difficult time getting into this story, but it was because of the information on the Ute Indians, and the background for the story. It was just kind of boring for me. But it then the story took off and I found myself not wanting to put the book down. I was so heartbroken for Jesse that I wanted to make sure everything turn out for him ok. The story is sometimes not so easy to read, I found myself reading, but not taking it in at times because of the nature of the scenes with the Indians trying to defend what they had. Wonderful writing of the author in the vivid details of the Ute’s way of life. And I appreciate the author describing God’s way of salvation so plain and clear, and for showing that only God can break through those barriers and change lives. 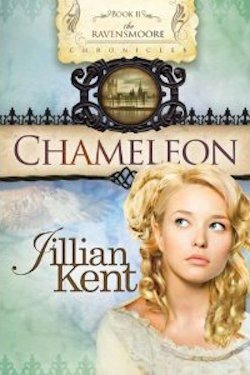 I highly recommend this book for anyone wanting a really good read, and especially those who enjoy historical fiction. And if you enjoy a good old Indian story, this one is for you as well! Sam Hopkins is a good kid who has fallen in with a bad crowd. Hanging around with car thieves and thugs, Sam knows it’s only a matter of time before he makes one bad decision too many and gets into real trouble. Because Jennifer is not just eccentric. To Sam, she seems downright crazy. She has terrifying hallucinations involving demons and the devil and death. And here’s the really crazy part: Sam is beginning to suspect that these visions may actually be prophecies–prophecies of something terrible that’s going to happen very soon. Unless he can stop it. I’ve always heard that preacher’s kids are the worst. That is when it comes to being wild. Is this what happened to Sam? He was a pretty good kid, didn’t really give his parents a lot of problems and heartaches,that is until he started hanging around with the wrong kind of people. People that like to get into trouble, and that led Sam into getting into trouble. Jennifer was more like wild and crazy, and her mental problems only caused more problems for her. Wow when I read some of the reviews, I wondered, is that book really that good, and then I found out. The answer is Yes, and Yes again! Even though it is primarily for the young audience, anyone and everyone can read this book, and will love it! For suspense/thriller fans, this is one you don’t want to miss. And I appreciate the Biblical principles brought out so well throughout the book bringing to light the love and trust, and the feeling of being accepted that we see in the pages of this book. Though Sam and Jennifer are two entirely different characters, they really grow on you, and by the end of the story, their characters will be so real and loveable that you will feel like you’ve known them for years! A copy of this book was provided by LitFuse for me to read and review. I was not expected or required to write a positive review. The opinions here in this review are mine only. CHECK OUT THIS AWESOME GIVEAWAY!! iTunes and Amazon.com! Don’t miss a second of the “danger”! 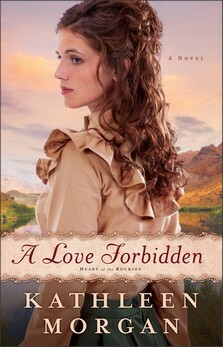 5/29/12 for an author chat and lots of giveaways. Breathtaking chase scenes, mystical worship services, dashes through remote waterlogged landscapes keep the pages turning. Felicity learns the wisdom of holy women from today and ages past and Antony explores the arcane rites of the Knights Hospitaller. But what good will any of that do them if Felicity can’t save Antony’s life? I didn’t read the first book in this series but that was ok, the author gives enough background that this can be easily read as a stand alone. This one start with Felicity wanting to become a nun, but this was like an impulsive decision, so she was talked into checking out the convents to see what she really thought about it. Felicity is a fun, happy person, not being afraid of changes in her life, and she didn’t mind taking a dare either. Like in the beginning when she dressed as a boy to go check out the new murder so her fathers paper would have first dabs at it. Her character just makes the book fun and interesting to read. I kept reading because I really wanted to find out what would happen to her. Felicity’s journey though this book was so full of adventure you will not want to put it down! This was my first book by the author. With her inventing creative, interesting and likeable characters, and with the unique history of the churches, along with the mystery and suspence, she writes a wonderful historical story that will stay with you for a while. I don’t like giving too much away, but you will love the story of Felicity and her adventurous journey. I received this book free from Kregel Publishing. I was not required or expected to write a positive review. The opinions here are my own. 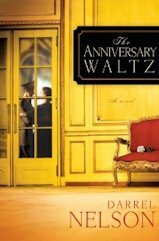 If you’d like to read the first chapter excerpt of The Anniversary Waltz, go HERE. ****Will read and review the book when it arrives……Sounds like a wonderful one! 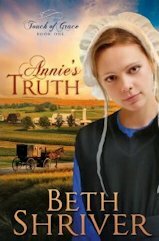 Childhood memories of her grandfather’s ranch came alive as Beth wrote her first Amish story. Her parents grew up in the country, so she understands pastoral life and respects those who make a living off the land. She frequents a nearby Amish community just south of Fort-Worth for an occasional church service or brunch with the bishop and his wife. And on the way home she stops at the community store to get some plum jam! In 2003 Beth began writing her first book. A couple of years later it was published and she has been writing ever since. 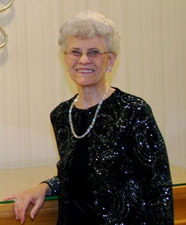 Beth received a degree in social work from the University of Nebraska and was a case worker before starting a family. 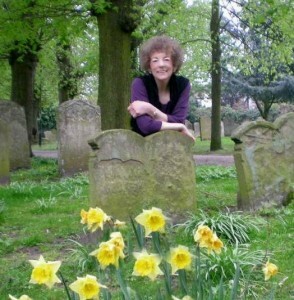 Beth followed her passion and has written in a variety of genres in both fiction and non-fiction. After learning the truth about who she really is, can this prodigal daughter be accepted back into the safety and security of home? 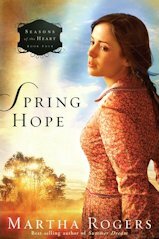 Annie Beiler seems to have it all—a loving family in a tight-knit Amish community and the affections of an attractive and respected young man. But when she learns that she was adopted after being found as an abandoned newborn, she sets out on a journey to find out who she is. As Annie’s search brings her into the fast-paced world of modern life, she is confronted with all of the temptations she was warned of. Can she make her way back to the order and security of her family? Or will she remain an outsider—torn between her two worlds? If you would like to read an excerpt from the first chapter of Annie’s Truth, go HERE. ******I will read and review this book when It arrives!! Can’t wait to read a new author and one of my favorite genre’s…Amish fiction! She smiled at me even though I knew she must be in extreme pain. “Thank you for loving me,” she said. I was the one who should be thanking her for loving me. I couldn’t think about that right now. There was too much blood. I had to help her. “Tell me how to fix this.” She coughed and cleared her throat. “Your love has fulfilled me.” “No, please,” I said, “don’t talk like that. You’re in shock. That’s all. We’ll get help soon.” “Chris,” Sarah said. “You have to let me go. I love…” She sank into my arms as her life left her body. “No! Please, God, no.” When Chris McCowan’s fiancée, 24-year-old Sarah Eason, is killed during a bizarre robbery near Austin, Texas, an unlikely trio teams up to find those responsible for her death. The trio, Chris, a 31-year-old computer science professor, Percy “Tex” Thompson, a 40-year-old wheelchair bound ex-con student of Chris’, and 65-year-old head librarian Liz Siedo, pool their talents to find the criminals after local law enforcement agencies have given up. Chris wants an eye for an eye even if it means giving up God and the church where he and Sarah were to be married. He sets out to learn the tricks of the trade from his ex-con student, all while continuing to teach and coming to terms with his grief. Angela, who claims to be an FBI agent, joins the Vengeance Squad to help the three find the killers. 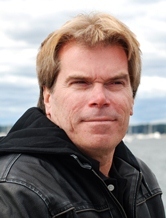 Sidney W. Frost is a former computer science professor, ex-marine, and author of Where Love Once Lived, a prize winning inspirational novel. Chris McCowan watches his fiancé die after being shot while checking out a helicopter crash site. Chris decides he is taking Vengeance into his own hands and strikes out to find Sara’s killer. If Sara has to die, her killer doesn’t deserve to live. Chris finds help from a handicap ex-con and ex-marine living in a wheelchair, a granny-type librarian and Chris, thus called “The Vengeance Squad.” With a mission to accomplish, these three start off on a journey that will change their lives forever. Wow, author Sidney Frost gives us an action-packed, fast-pace thriller that will keep you on the end of your seats and your nose in the pages until the very last word. The cast of characters are real and believable and play their roles well as the story comes alive in front of our eyes. There are many twists and turns in this really great story that will keep you turning those pages until the very last one. The one main thing I appreciate about this book is the way the author uses the characters to show how God can work in our lives when we give him the chance. Even though it is not always easy to let go and let God have His way in our lives, He knows what is best. And I felt that Sidney Frost so wonderfully teaches us that in this book. I thoroughly enjoyed “The Vengeance Squad” and look forward to more books by this author. If you like thrillers, well this is a must for you! I really can’t say enough about how well written and how awesome this story is, so just go grab a copy of see what you think! I don’t think you will be disappointed at all! The author, Sidney Frost provided a copy of this book for me to read and review. I was not required or expected to write a positive review. The opinions in this review are mine only. 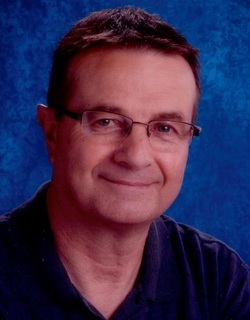 Sidney W. Frost is a Stephen Leader, a Stephen Minister, and a member of his church choir at First United Methodist Church in Georgetown, Texas. He has served on the session at a Presbyterian church, and has been on the vestry at Episcopal churches. While singing with the Austin Lyric Opera Chorus, he was in 42 productions. He and his wife, Celeste, sing with the San Gabriel Chorale and have been in several Berkshire Festivals. He is an Adjunct Professor at Austin Community College where he teaches computer courses. 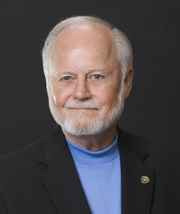 He received the adjunct teaching excellence award in 2005. While attending the University of Texas in the 1960’s he worked part-time at the Austin Public Library driving a bookmobile after completing service in the U.S. Marines. 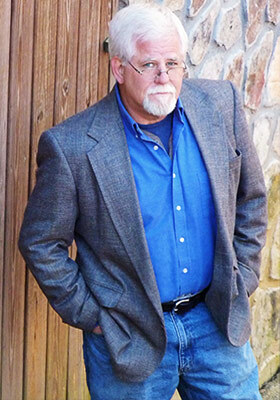 He is a member of the American Christian Fiction Writers, the Writers League of Texas, and the San Gabriel Writers’ League. He has a Master of Science degree from the University of Houston and a Bachelor of Arts from the University of California at Long Beach. Awards for Where Love Once Lived include First Place — 2007 SouthWest Writers Contest in the Inspirational/Spiritual Category, First Place — 2007 Writers’ League of Texas Novel Manuscript Contest, Romance Category, Third Place — Fourteenth Annual Lone Star Writing Competition, Northwest Houston Chapter of the Romance Writers of America, Inspirational Romance Category and Finalist — 2006 Yosemite Writers Contest Novel Category. Bandit troubles intensify as Caleb Bender’s family tries to settle into their new life in 1920s Paradise Valley. When El Pantera kidnaps Rachel and leaves her brother, Aaron, for dead, Jake Weaver and the Mexican native Domingo pursue the bandit leader to his mountain stronghold in a hopeless rescue attempt. Jake and Domingo manage to escape with Rachel, with the bandits hot on their trail. In a desperate attempt to avoid recapture, Domingo puts himself squarely in harm’s way, giving Jake and Rachel time to get away. This is not the quiet life Caleb Bender envisioned when he led his family out of Ohio. What is a father to make of his daughter’s obvious affection for a man outside the fold? And how will a pacifist Amishman like Caleb respond to the events that threaten his family and their way of life? 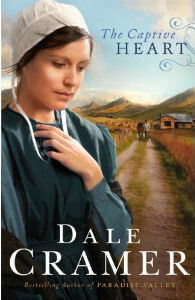 Wow, Dale Cramer gives a different twist on Amish fiction in this series. In this second book of the series, more Ohio Amish join Caleb and his family at the newly Amish community in Mexico. As the Amish ways are, they all helped each other out in building houses and barns, and fields to plant food and ways of making money. The one thing that is different for me with Amish fiction is the dangers this community of Amish people faced because of the new area they were in. They had to deal with bandits that didn’t think twice about pulling a gun on any of them. And this was especially difficult because of the Amish ways of not fighting back. Mexican friend Domingo, who had been helping Caleb since being in Mexico was a tremendous help since he knows the people of the area and their ways, but these Amish still faces difficulty, hurt, heartbreak and loss. 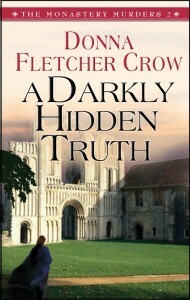 A copy of this book was provided by Bethany House for me to read and review. The opinions in this review are mine only, and my honest opinion. –>Sidelined by injuries from a vicious assault, chaplain Riley Hale is determined to return to her former duties as an ER nurse. But how can she show she’s competent when the hospital won’t let her attempt even simple tasks? Determined to prove herself, Riley volunteers at a controversial urban free clinic despite her fears about the maverick doctor in charge. Awww finally another Candace Calvert book! I’ve been waiting on this since set informed her readers the story was in the making, and let me tell you it is well worth the wait! 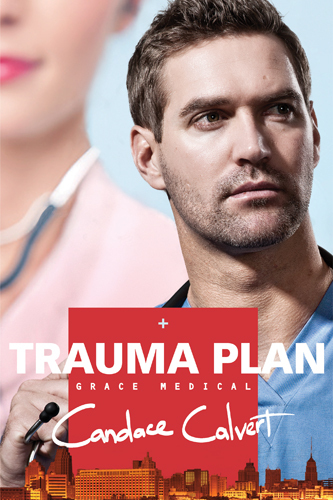 I love Trauma Plan, as well as all of Candace’s other books! Yes I am a Candace fan! Hospital Chaplin Riley Hale needs to be back in ER at her old nursing job. That’s what she loves to do. But because of an earlier assault, her Doctors haven’t released her to do that job again, and her fellows workers are not sure she is competent enough just yet. And then there is Dr. Jack Travis. Or could we say drill sergeant Jack? 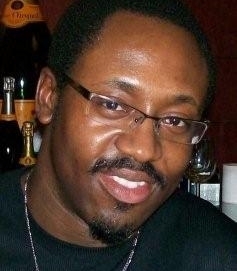 Dr. Travis worked as an ER Dr. and also ran a clinic for those who couldn’t afford high hospital bills. Since the run-down clinic was near a high and mighty sub-division, Jack was constantly being harassed by the rich folks from the wealthy community. This, and other things in Jacks past life cause such deep anger and bitterness in Jack that his fellow workers found him very difficult to be around. And it seemed that Jack especially had it in for Riley, one thing he really didn’t care for her job as Chaplin at the hospital. He felt it was a total waist of time. Then why did he offer to let her help at the clinic? And Riley working at the clinic throws she and Jack together more. Could there be an attraction between them? Well I for one would like it, but then we will have to wait and see! There is so much going on in this story that you will not want to put this book down once you start reading it. And with so much going on, we see Candace Calvert’s expert writing ability in full force, because she does a wonderful amazing job of pulling all of the characters and situations together to pen an unforgettable medical drama. And to read all about it, I highly recommend that you go grab a copy of “Trauma Plan” to read and enjoy for yourself. And I save the best ‘til last. If for no other reason, read the book to meet Bandy and Hobo. Of all the characters in all of the many books I have read, Bandy and Hobo are the most special, heartwarming characters yet! And don’t read spoilers about them, it will ruin it for you! Tyndale House Publishers provided a copy of this book for me to read and review. I was not expected or required to write a positive review. The opinions in this review are mine only. David Ankrah is a quiet individual with a background in media, finance and all things creative, full of ideas and compassion for those around him. He lives in London with family and likes nothing better than to help people and put smiles on faces. The inspiration for this book came out of wanting to see an end to some of the hardships we face in modern times with a simple story that everyone can enjoy and in particular for adults to read to children all over the world so that they can share the ideas that come to them as they read about the inhabitants of that wonderful place called Zoniye. 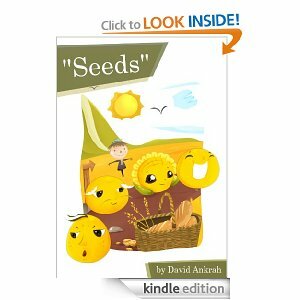 You can visit David at his website, http://seedsthechildrensbook.com. Without actually mentioning the word money until after the story ends, this story is designed to show them some of the choices they have in life when it comes to looking after not only their money, but their friends and family. “Seeds” is a story with a valuable lesson to both children and adults. Palooko and Greecho were both given some seeds, and what they did with them would change their life forever. Both Palooko and Greecho made different choices in what they did with their seeds, and in this, they learned a very valuable lesson in how to make the right choices, how to invest, save money and use the money when you need it the most. I thoroughly enjoyed this fun and interesting story, as well as the lessons it taught me! I highly recommend that you grab a copy of this book to read for yourself. I am sure you will learn something new and interesting that will help you. 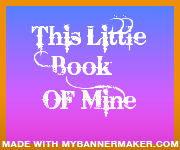 And if you are not a good reader, then there are no worries here because this is a very thin, short book that takes only a few minutes of your time. 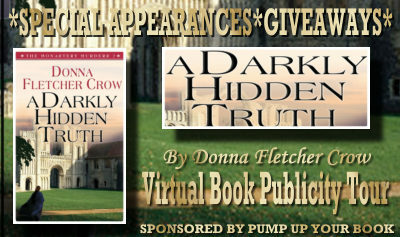 This book was provided by the author through Pump Up Your Book Virtual Tours. I was not required or expected to write a positive review. The opinions in this review are mine only. Hart and Judy Wingate, who met in The Gold Standard, are back to solve the mystery of The Map Quilt. Hart’s new battery design could forever change the farm implement industry. But after the death of Hart’s most confrontational colleague in a fire that destroys Hart’s workshop, the battery is missing. After Paul Stutzman lost his wife to breast cancer, he sensed a tug on his heart–the call to a challenge, the call to pursue a dream. With a mixture of dread and determination, Paul left his job, traveled to Georgia, and took his first steps on the Appalachian Trail. What he learned during the next four and a half months changed his life–and can change yours as well. away his grief on the Appalachian Trail. I love the Appalachian Mountains, and having visited quite a bit, I can see why the author chose this setting as his place of healing. And of course there were the questions, did he do the right thing in stepping down from his job, what would his family think, would he make it to the end, and what would happen in-between? But Paul did endure the entire four and one half month, 2,176 mile trip through fourteen states. And at the end, Paul had almost five months of memories that would change his life forever. Those memories are recorded in his book, “Hiking Through. I rec’d a copy of this book to read and review from Revell Publishers. I was not required or expected to write a positive review. The opinions in this review are mine only. Paul Stutzman is a former restaurant manager who left his career after his wife’s death from breast cancer. 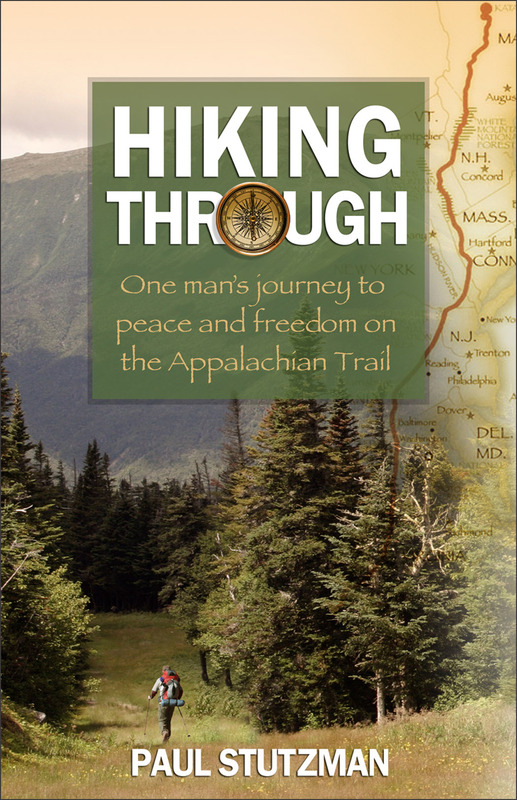 He hiked the Appalachian Trail in search of peace, healing, and freedom. His passion and mission is to share what he learned on that remarkable journey. Paul grew up in the Mennonite church. When he is not hiking or on a cross-country bike ride he makes his home in Berlin, Ohio. Get swept away into the lavish world of Chicago’s high society as Olivia Newport brings to life an age of glitz and grandeur, stark social contrasts, and one woman who dares to cross class lines for what she believes. Lucy Banning isn’t just your typical rich girl, she’d rather spend her money and time on those not having as much as her family does. She enjoys spending time at the orphanage helping children who have no homes. But that’s not what her future husband wants from her, the husband that both Daniel and Lucy’s mothers planned from the time they were very young. Only Lucy didn’t want to get married. She was secretly taking art classes, and as the story moves on, she has other secrets just because she doesn’t like the way her family, or the other rich families in their circle operated. Then Lucy meets Will, a friend of her brother Leo’s. There is just something different about Will. He respects the fact that Lucy is engaged to be married, but he’s not sure she wants to be married. And Will figures out that something isn’t right with Lucy. She has a secret of some kind, and he’d just bet that housekeeper Charlotte knew what that secret was too. I think I like Lucy so much because she doesn’t flaunt her money like most young ladies in her position, or like her own mother. She looks at their large houses and thinks about how many orphans would be able to live in them. She thinks about the food they eat, and the money that’s spent and wonders how many of the orphans can benefit from it instead. I just like what Lucy wanted to do to help. I also enjoyed the information on the worlds fair that the author so richly incorporated into this book. It was fun reading about the anticipation of the fair coming to town, and all that it involved. I thoroughly enjoyed this book. It’s just a nice, good, clean book for anyone to read and enjoy. I encourage you to grab a copy to read and enjoy for yourself. A copy of this book was provided by Revell publishers for me to read and review. I was not required or expected to write a positive review. The opinions in this review are mine only. Olivia Newport‘s novels twist through time to discover where faith and passions meet. Her husband and two twenty-something children provide welcome distraction from the people stomping through her head on their way into her books. She chases joy in stunning Colorado at the foot of the Rockies, where day lilies grow as tall as she is. Michael John Sullivan graduated from St. John’s University with a communications degree and a promising future in the field of journalism after working for the official school paper the previous two years. Six months later, he found himself washing his hair in a toilet at the same university as he prepared for a job interview. He was homeless at the age of 23 after first watching his mother ─ his protector in a dysfunctional family ─ die from cancer. A year later his father asked him to leave. Riding a New York City subway train at night, his only companion was a green plastic bag of belongings. During these bleak days he began writing his most reflective and emotional childhood and adult memories now featured in two of his novels. On a bitterly cold New Year’s Eve that year, Sullivan intentionally hid under a pew in the back of a church to stay warm for the night. After the doors were locked, he lay near a makeshift manger, writing and talking to the baby Jesus. It was a cathartic experience, one that would continue to resonate with him years later. He was eventually rescued by an aunt and uncle. After spending much of the past two decades raising their daughters while working at home, Sullivan returned to his notes in 2007 and began writing Necessary Heartbreak: A Novel of Faith and Forgiveness. It was published by Simon & Schuster’s Gallery Books imprint in April 2010. The Library Journal named Necessary Heartbreak as one of the year’s best in Christian fiction for 2010. He recently finished the sequel, Everybody’s Daughter, featuring more memories from his young adult life, including the day he walked to Forest Park as he contemplated taking his own life. Only the strains of a song prevented him from doing the unthinkable. Sullivan lives with his family in New York. He is a nominated board member for the Long Island Coalition of the Homeless. Wow this is one amazing story. I now need to read the first book in this series for the beginning of the story. When I saw the question “What if you had a chance to ask a loved one for forgiveness, after they died? I wasn’t sure what to expect from this novel. Michael Sullivan created a story with amazing characters that would sure find a special place in the hearts of readers. 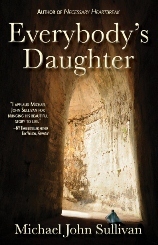 The author combines First Century setting and Biblical fiction, meeting Jesus and many early Bible characters with introducing his modern day family and pens an intriguing and fascinating story that will suspense, thrills and twists and turns that will keep you turning the pages until the very end. The author’s vivid descriptions of each scene brings the story alive before your eyes. I thoroughly enjoyed this amazing read from a new author for me. I will sure be looking for more books from Michael John Sullivan. I encourage you to grab a copy of “Everybody’s Daughter” to read and enjoy for yourself. This book was provided by B&B Media for me to read and review. I was not expected or required to write a positive review. The opinions in this review are mine only. Jingling the silver coins between his fingers that he had retrieved so many centuries ago, Michael Stewart again thought about what he should do with the blood money. He leaned on his broom, transfixed in his holy land memories, only to be startled by an intruder. “In the corner is fine.” He pointed to the area and continued sweeping the church’s basement floor. The teenager set down a candle snuffer and tugged on Michael’s Boston Red Sox jacket’s sleeve. “Don’t work too hard, Judas.” He ran up the stairs, repeating Judas’ name and laughing. The sound broke the majestic quiet of the church. Michael never took offense when his fellow Yankee fans teased him, accusing him of being a traitor. If they only realized he knew Judas. Personally. He relaxed, allowing the slight pain in his forearm to ease, and slipped his hand again inside the pocket of his worn jeans. He never left home without the ancient relics, touching them periodically, forcing himself to believe that the week he and his daughter Elizabeth lived in first-century Jerusalem wasn’t a dream. It was real. It did happen. On days when his financial responsibilities overwhelmed him, as insurmountable bills piled up on a weekly basis, he had been tempted to ask an antique expert about their value. No. I could never sell them, no matter how much they could be worth. I’ll burn in hell. He realized he would perhaps have to explain how he had come to own these unholy souvenirs some day. “Uh-huh.” Wonder what she’s angling for? He sat in the first pew and gazed at the musical equipment behind the podium, gleaming in the late afternoon sunlight. Thoughts of finding another opportunity to travel to the Holy Land occupied his mind as he absorbed the peaceful beauty. “I think one church nut in the family is enough,” she said. He didn’t answer right away, needing a few seconds to think. “Okay, okay, I get the picture,” she said. He rubbed his forehead and closed his eyes for a few seconds. For several minutes they sat in silence. Michael found the stillness of the church rejuvenating. “Yup. I do indeed,” she said with the grin of a typical fourteen-year-old. “I know everything.” She injected an air of pompous self-importance in her tone, but couldn’t keep a straight face. The giggle that followed told Michael she was having a good time ribbing him. “I’m not old and I’m thinking a gold sparkly one would be nice,” he continued, nodding. “I know.” He glanced at her sideways and noticed another pink streak near her temple. Was that there this morning? “We also didn’t know if that soldier was coming back after us in the tunnel,” Elizabeth said. He grimaced, uncomfortable with the direction their conversation had taken and remained silent. “Why?” Her tone was loud and contemptuous. He put two fingers against his lips. “Lower your voice.” He noticed the old man turning his head, obviously angling for a better position to hear their conversation as the lady gave Michael a disapproving glance. The elderly man was practically hanging over the pew to catch every word. Michael figured it was probably the most entertainment he had enjoyed in a long time. “Let’s discuss this at home,” Michael said, trying to put an end to the conversation. He waved to the elderly couple and sat. “At least meet Matt,” she pleaded. “That’s not fair,” she said, raising her voice again and piercing the sacred silence. “I’ll meet him when I want to meet him and not a minute sooner,” he said in a stern tone. The couple half smiled then looked away and whispered to each other as they fiddled with their ear pieces. Michael didn’t answer. The old man and woman got up, and walked slowly out of the church, taking quick, nervous glances as they went by. He climbed over Elizabeth, tripping over the kneeler as he reached the aisle and headed toward the basement door. Michael felt his daughter watching his every move as he veered toward the stairwell. He looked back and saw her shaking her head as she dropped her backpack on the pew and got up to follow him. He rested his forehead against the door. “Huh, you sure you guys are BFFs?” They walked back to the pew and Elizabeth picked up her bag. Michael took a deep breath, sighed, and pulled a bill from his wallet. She gave a faint smile and Michael watched as she rode away. Once she was out of sight he unlocked the car and got in. The glove compartment door was open again. He saw his cell phone was still inside. He slammed the door three times before the lock finally caught. Got to get that fixed, he thought for the hundredth time. But it was never a high priority on his to-do list. His stomach felt queasy as a sharp pain stabbed his right side. He wondered how he was going to spend his evening. I’ve done this routine a few times. After a less than satisfying bowl of Cheerios for dinner, Michael was restless and still hungry. Despite his better judgment, he downed two boiled hot dogs, further agitating his upset stomach. He carried the salty taste in his mouth while walking aimlessly up and down the stairs several times, occasionally clicking on the television to channel surf for a glimpse of hockey and basketball scores. He sat on his chair and perched his laptop on his knees. Just as he started an email, he heard the sound of a car door slamming near his house. He watched as his sister headed toward his front door. He stared in shock. What happened to her? Michael rubbed his eyes in disbelief, squinting to be sure. She carried an extra thirty pounds or so on her once stick-like figure. An oversized man’s sweatshirt and loose jeans were clearly an attempt to hide her extra weight. Her blond hair, usually neatly kept, now looked straggly, and the dark roots were visible under the porch light’s glare. Age looked like it had not only crept up on Connie but trampled all over her. Her wrinkles had wrinkles, which were usually hidden under a ton of makeup. His sister had been a thorn in his side since they were kids. She was a control freak in the worst sense, always plotting for ways to hurl verbal shots to get under his skin. He took his time walking down the stairs. “I need this like I need a hole in the head,” he muttered. He followed behind her and watched as she stared at the dishes piled in the sink and the cluttered countertop. She snickered and his stomach turned. He was acutely aware now of the pot on the stove, with its one remaining hot dog. He grabbed the milk container away from her. “This is fine.” He put it back and closed the door. “Do you want a glass or not?” he asked, raising his voice as he headed back into the kitchen. Michael hadn’t talked much about his book nor had he shared the contents of the story with any member of his family. Apparently, word about the publication of his novel had made its way around his large group of relatives. “Yup, you’re just like Dad.” She drained the last bit of her wine. She grabbed the bottle and filled her glass half way. They were both silent as he watched her take a long swallow. He topped off her glass. Maybe she’ll shut up and snooze if I ply her with more wine. Yeah, a silent Connie. He held the bottle up. “Why don’t you stick this up…” He caught himself and stopped. She’s getting to me again. Michael stood and walked back into the kitchen. “You’d never understand,” he shot back. Michael placed his glass down on the counter. She’s like Lucy to my Charlie Brown, always pulling the football away right before I can kick it. He took a long sip of his wine, hoping it would erase the last ten minutes of their conversation and headed back to the living room. He sat and looked into his glass. “I swear.” She put her hand over her heart. “Not even close,” he replied. He rubbed his forehead. And I desperately want to know if she’s okay. “We didn’t fly.” He let out a loud sigh. “Maybe I am, but I was there and I know what I saw and who I met.” He dug into his pocket and fingered the coins. Should I? Nauseous from drinking too much wine, eating Cheerios, and the hot dogs, he retreated to the bathroom, still clutching the Bible. He splashed cold water on his face, sat at the edge of the tub, smoothed the cover and closed his eyes. He replayed a memory when he and Connie were kids and with vivid recollection remembered one time when they had each other’s back. Connie ran from her room to the hallway, almost colliding with Michael. “We’re in trouble,” she whispered. He shrugged. She ran down the stairs. “Hi, Daddy. I’m here,” she said, standing at attention. Michael took his time entering the room. He stood close to his sister and cowered. Their father reached up and tugged Michael hard on his arm, his face only a few inches away. Jim’s eyes were bloodshot and his short sideburns were streaked with gray. The air around him was heavy with the smell of whiskey. “What was the gospel about today?” Jim demanded. Her expression mirrored his feelings. His father tightened his grip. “Ouch.” Michael rubbed the sore spot and Jim squeezed harder. Jim let go of Michael’s arm and he followed his sister down the basement stairs, upset that he’d have to miss the football game on TV. They headed toward the back room behind the boiler. “What do we do now?” he asked. She reached in with her hand. “Got it.” She pulled out a small, dusty, pocket handbook. “What else you got in there?” he asked. Connie hopped up, wiping the dirt from the cover. She flipped through several pages. “Here, look. What’s today’s date again? Yeah, this is it.” Her cheeks were flushed with excitement. For the next few minutes, they sat and read the gospel from that Sunday together. Michael looked at his sister, surprised they’d been communicating without tearing each other apart. “Are you ready to go upstairs?” she asked, after quizzing him a few times. “Yeah, right.” She dropped her hands down so he could slap a low five. He walloped her hand hard. “Hey, that hurt,” she yelled. Loud, heavy footsteps crossed the floor above their heads. “What’s going on down there?” Jim called down. They ran up the steps, eager to share their newfound information. Standing before their father, they lifted their heads high with pride as Connie started the story and Michael finished it. They both stood in front of their father, grinning. Jim stopped rocking back and forth in the recliner, and strained to see, like he did when he was suspicious. “Next week I’ll ask you again,” he said. “And you better know it the first time. No more trips to the basement.” He picked up his paper off the floor and held it front of his face. “Can we go?” Michael asked with trepidation. “Hey, did you fall in the toilet?” Connie’s voice brought Michael back to the present. He opened his eyes, stood and splashed more cold water on his face, toweled himself off, heaved a deep breath, and returned to the living room. She put her glass down and wiped the corner of her eyes. He burrowed through his pockets and handed her a tissue. Richard urged his palfrey into a gallop so that he could catch up with Gloucester, riding east to the city. What is he going to do now, thought Richard, following Gloucester along the Strand towards Saint Paul’s Cathedral. As soon as they got to the churchyard, Gloucester vaulted off his horse, threw his reins to a groom, and mounted the steps of Saint Paul’s Cross. The Londoners were enjoying themselves in the spring sunshine, it being that time of day after the main meal when people come out to pay visits, shop, and enjoy a fine afternoon stroll. In one corner of Saint Paul’s churchyard, a number of well-dressed citizens fingered the leather covers and the crisp pages of those new-fangled printed books. There were goldsmiths and silversmiths. There was a woman selling spring flowers. There was even a horse merchant, whose restless charges stamped their feet, tossed their heads, and added a pungent odor to the scene. Just outside the door of the church stood a group of London merchants. The soft leather of their boots and gloves displayed their wealth, as did the exotic and colorful material of their robes, their jewel-encrusted collars, and the many rings on their fingers. They were outdone only by their wives, who wore as many necklaces, rings, and brooches as possible crammed onto their costumes. Richard bowed to one beldame passing by. She had so much cloth in her headdress, her husband must belong to the clothier’s guild. Gloucester bowed. A tapster from a nearby alehouse ran up to hand him a mug of ale. He looks years younger, thought Richard, glancing at his friend basking in the approval of the crowd. How ironic that it is the people of England who respect him, not his aristocratic peers. The crowd gathered around Saint Paul’s Cross, buzzing with excited anticipation as the horses neighed. “I wonder what he’s got to say,” said the bookseller. “He’s become a champion of good governance,” said a well-dressed gentleman. Duke Humphrey held up a hand, and the crowd fell silent. Some youngsters in the crowd erupted into laughter. Their elders grew watchful and silent. Richard accepted a tankard of beer and stood by Gloucester. He looked at the faces tilted up before him. They don’t seem overawed, he thought, sipping his beer. This country is not like France, where the common people grovel before the aristocrats. These people seem to know that their voices count for something. The crowd recoiled. “No!” they shouted. “What does this mean for trade, sir?” asked a man, a fashionably dressed woman on his arm. “Is our wine trade going to dry up?” asked one merchant with a red nose. The crowd responded with a harsh bark of laughter. “No more pears!” exclaimed a young girl with golden hair hanging out from an upstairs window. “But that’s my favorite fruit.” Her high voice sailed over the noise of the crowd. “No more Anjou pears, madam,” said Gloucester sweeping her a low bow. Applause and cheers greeted this remark. The crowd erupted into boos and murmurs, which grew louder. Richard looked at his friend. Their roar threw Richard backward. He moved closer to Gloucester. “They’re getting upset,” he hissed. “We are betrayed!” roared the crowd. 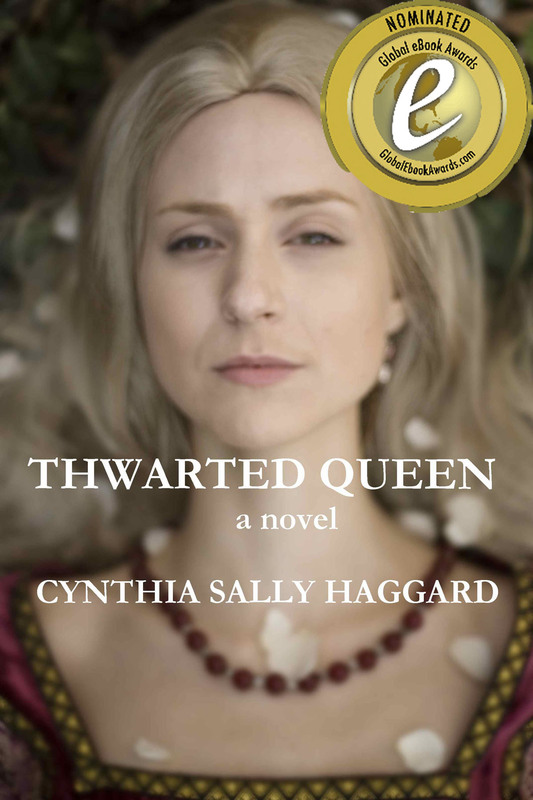 “A queen worth not ten marks!” They turned and hurried down Ludgate Hill in the direction of Westminster, shouting as they went. “What are they going to do?” asked Richard. I have been writing fiction for seven years, completing two historical novels and beginning two more. I started writing novels by accident, because I had a class assignment to fulfill. But once I’d started, I couldn’t stop. I write historical novels because I’ve loved reading them all my life. When I was a child, I would lie on my bed reading Jean Plaidy’s novels about the Tudors, or Georgette Heyer’s novels about Regency England. In reading these novels, I was struck by how different the lives of women were in the past from the way they are today. A Sensational CBA Debut in Contemporary Romance! 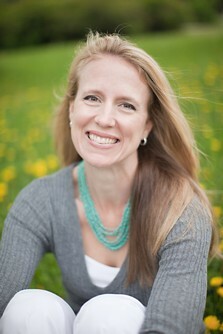 This summer author Becky Wade makes her CBA debut with a fun — and funny — contemporary romance. Amidst the light-hearted banter and laugh-out-loud moments is a compelling spiritual journey of one woman’s choice to listen to God and wait on him. 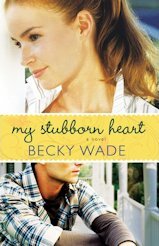 Filled with humor and authentic romance, My Stubborn Heart is shaping up to be the hit of the summer. Yet, she discovers a different kind of project upon meeting the man hired to renovate the house. ;Matt Jarreau is attractive and clearly wounded — hiding from people, from God, and from his past. Kate can’t help but set her stubborn heart on bringing him out of the dark and back into the light… whether he likes it or not. This is a wonderful and enjoyable Contempory fiction that I thoroughly enjoyed. 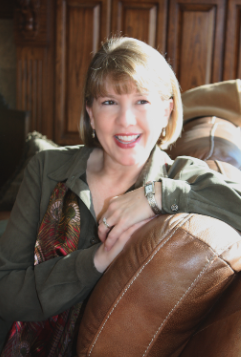 Becky Wade pens a story with characters that are so real and loveable that you will want them as your own family! I love Kate and her determination to make Matt talk to her. And Matt was just more adorable each time he tried to brush Kate off. And Matt had to let Kate’s witty attitude rub off on him, even though he tried hard not too, she really didn’t give him a choice in the matter. I especially enjoyed seeing Matt’s stubborn attitude in not wanting to talk to Kate while painting her room. That scene as well as others was very comical! Becky Wade deals with a lot of issues her, including lonely and bitterness. These things are very difficult to overcome, and I appreciate the way Becky merges real life with living that life trusting God. As I say with about all of the Christian fiction I write, even though it’s fiction, the principles are real, and can be used in real life situations. I highly recommend this book to anyone liking fiction. You will not be disappointed in what you will find between the covers of this book! This book was provided by CFBA for me to read and review. The opinions in this review are mine only. If you would like to read the first chapter of My Stubborn Heart, go HERE.